Digital storytelling is a modern and efficient way to talk about cultural heritage. The spread of the media (images, video, audio…) and the diffusion of mobile devices (tablets, smart-phones, players of any kind) has made the multimedia stories the most natural way to talk about culture, both at specific and general level. 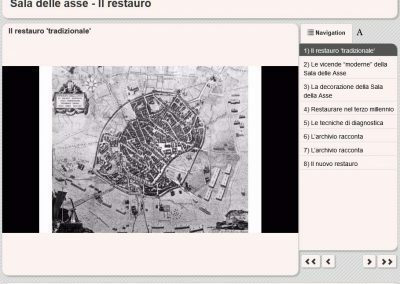 A “classic” web page is generally either read very quickly or printed (for a later use); a multimedia story, if properly made, is likely to keep the attention of the users for some minutes, in different contexts: in front of a PC, while sitting in a café using the tablet, while walking in the city, or while visiting a cultural good.. The user decides where and how to use the story and on which device. HOC-LAB (Politecnico di Milano) has developed 1001stories, a very innovative environment for the creation of multimedia stories. 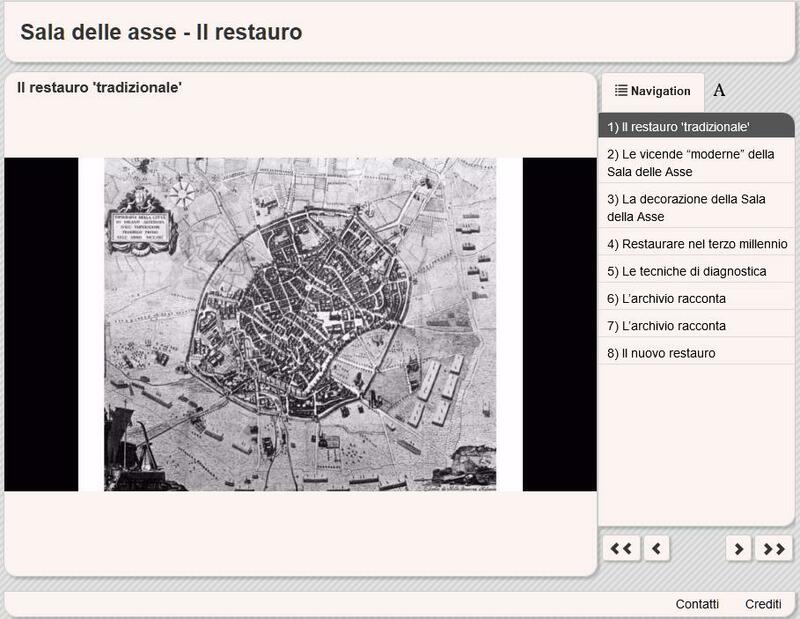 The stories about Sala delle Asse can be accessed through several devices and in various ways. They can be downloaded or used on-line, while visiting Sforza Castle.